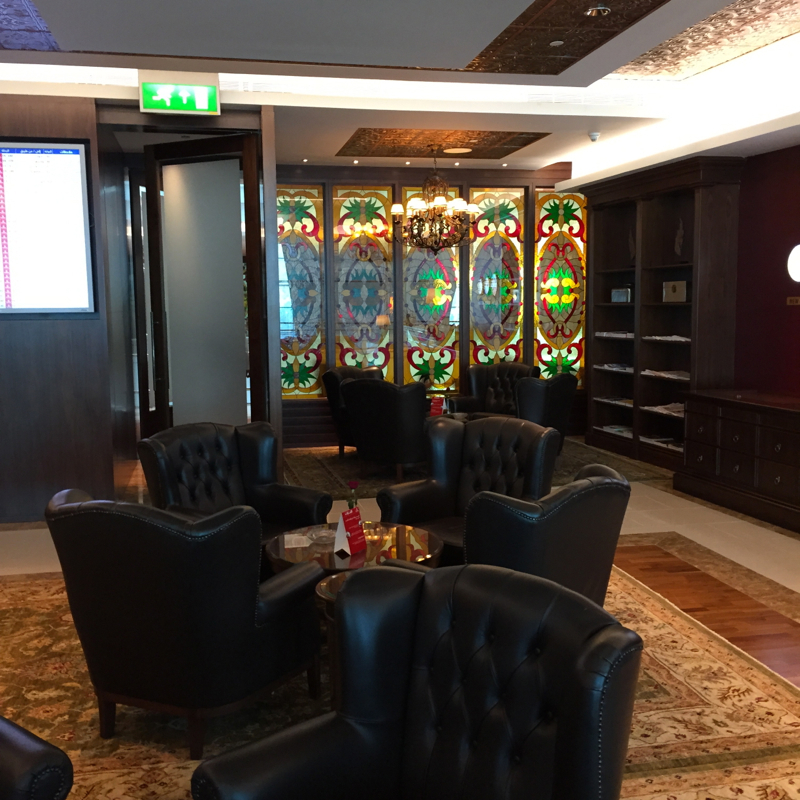 This Emirates First Class Lounge in Dubai Review is part of a trip report including Emirates A380 First Class, luxury resorts in the Maldives, such as Four Seasons Landaa Giraavaru and Soneva Fushi, as well as Etihad First Class and JAL First Class. 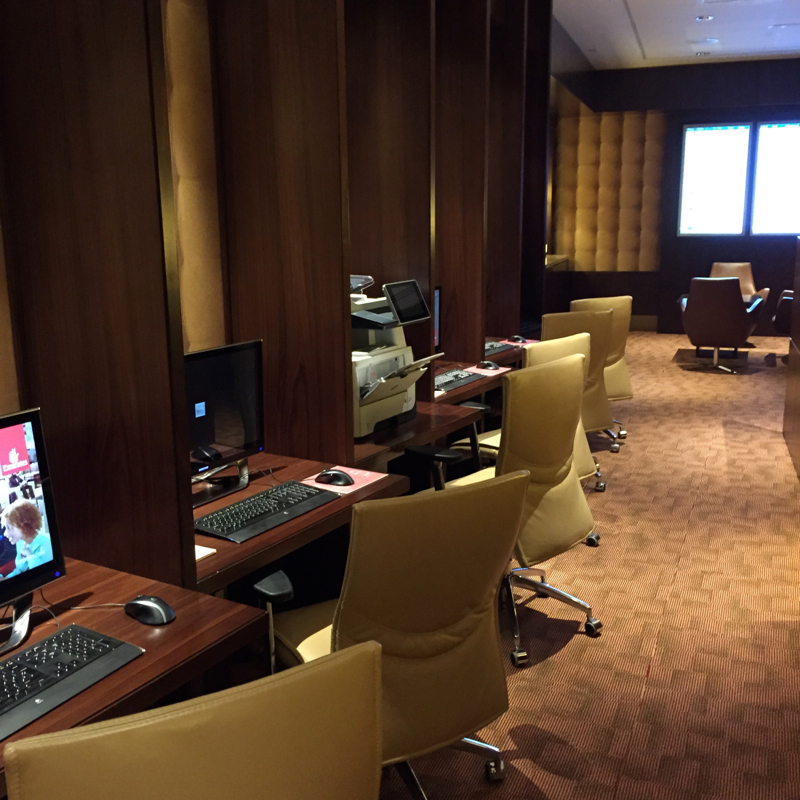 The Emirates First Class Lounge in Dubai is located in Terminal 3 and is exclusively available to Emirates First Class passengers. 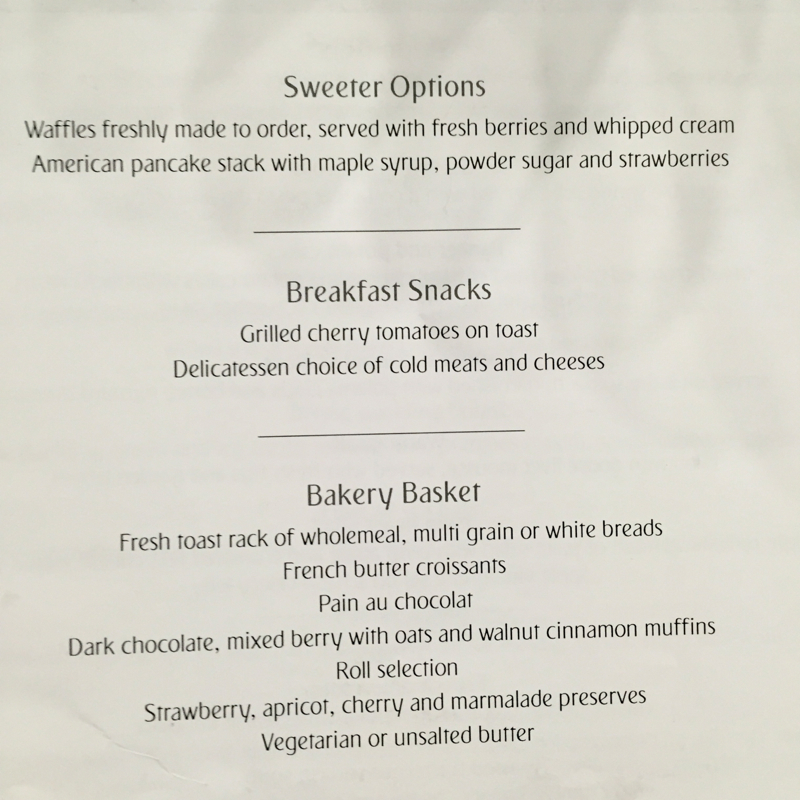 Technically it is only available to you if you are departing on an Emirates First Class flight; however, if you're able to show the lounge reception staff that your fare basis is F for your entire trip, then even if you arrive in Emirates First Class and are departing in Emirates Business Class, you are likely to be admitted. Similarly, Flyertalker WanderlustB was able to be admitted on an award ticket where the arriving flight into Dubai was in Emirates First, but the departing flight was in Business Class, yet the entire award was a First Class award. 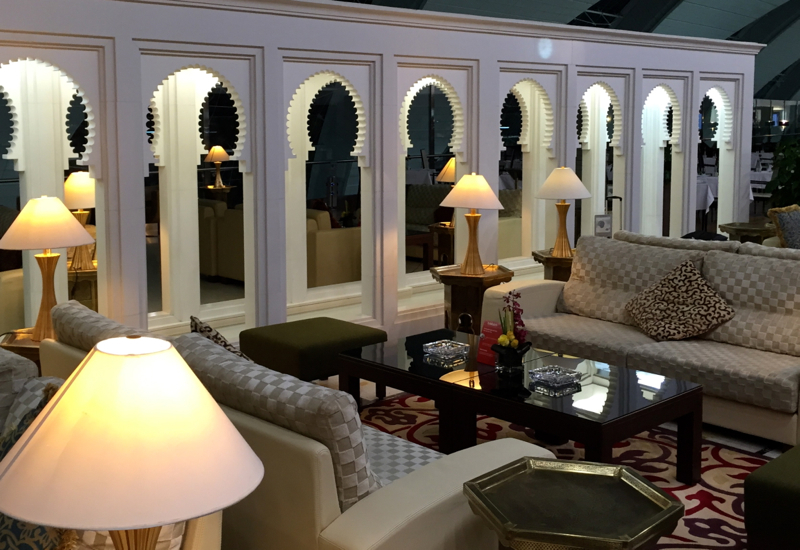 The Dubai airport has launched a massive PR campaign to position itself as the pre-eminent global hub, and the Emirates lounges there in general, and the First Class lounges in particular, has been designed to live up to all the hype. 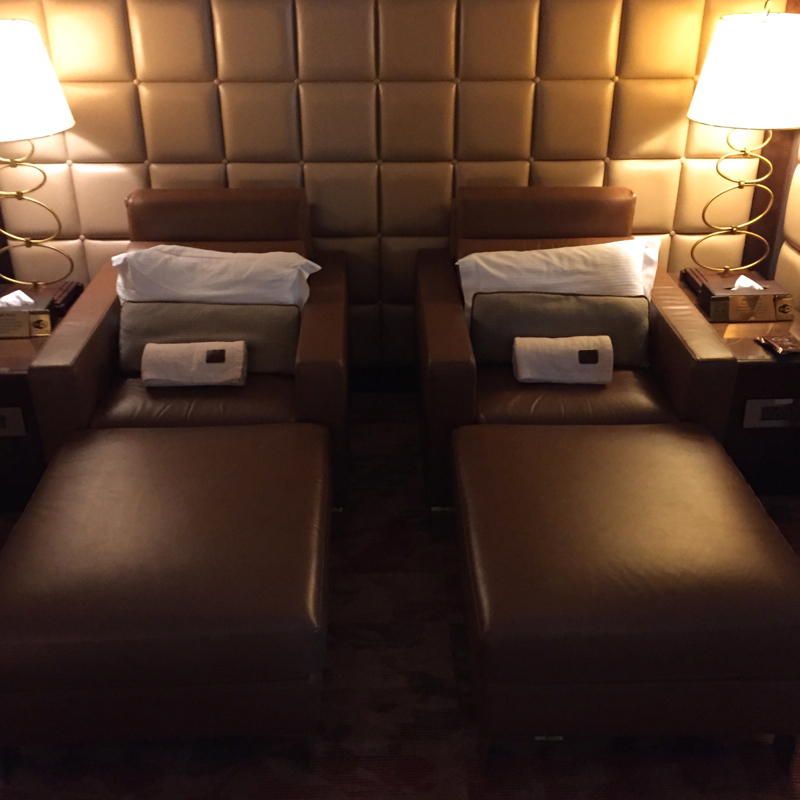 It is likely beyond any airport lounge you have ever experienced, and is perhaps also beyond any lounge you could imagine. First of all, you must understand that the lounge is not really a “lounge” in the usual sense of that word. 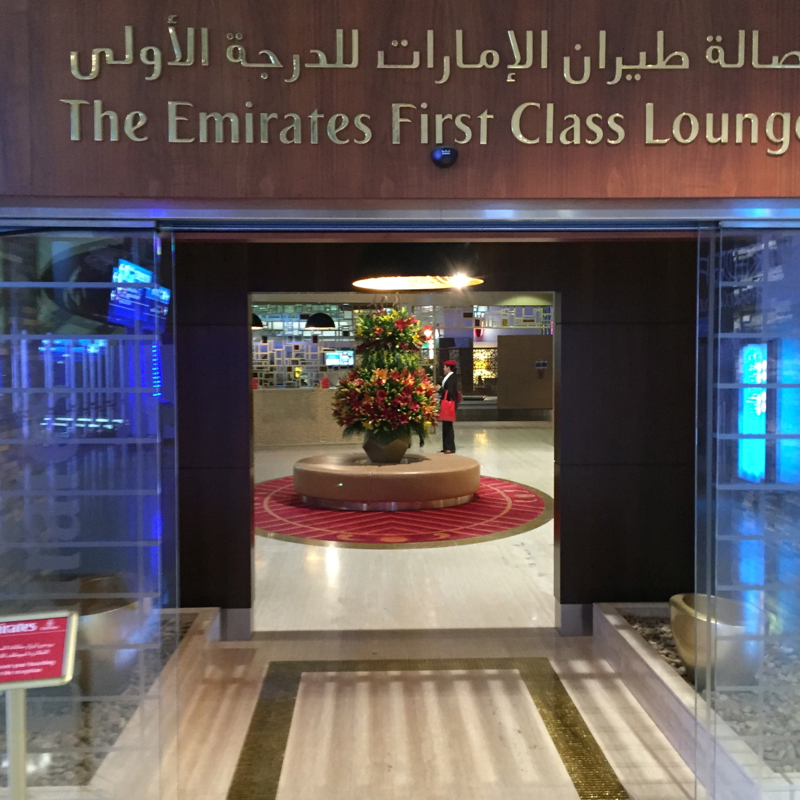 It is really separate floors on top of all the large number of Emirates departure gates, so it in effect is really more like an entirely separate First Class airport. 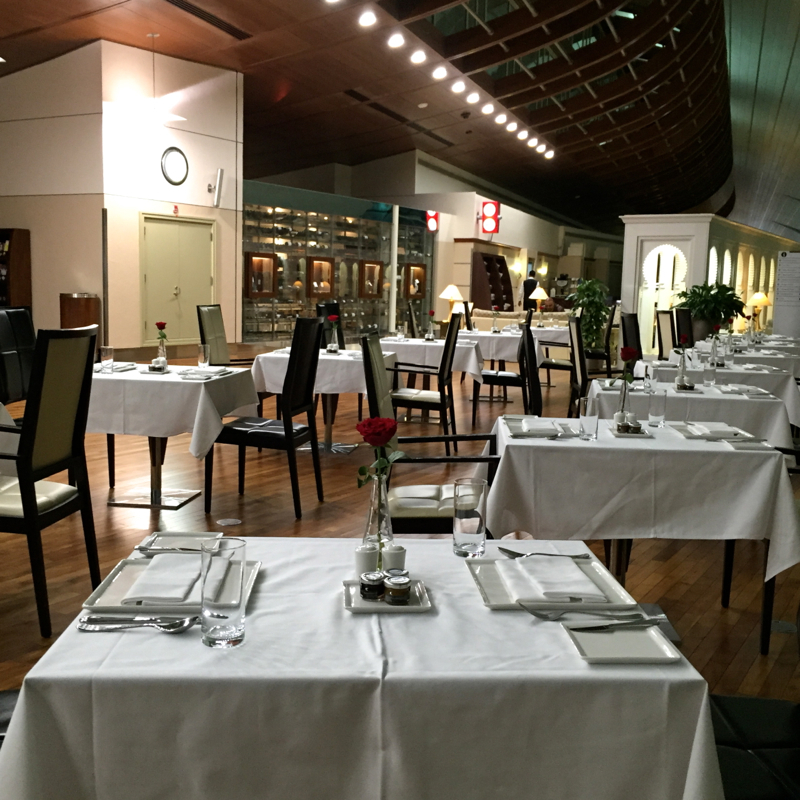 In fact, there are two Emirates First Class Lounges, one in Concourse A and one in Concourse B. 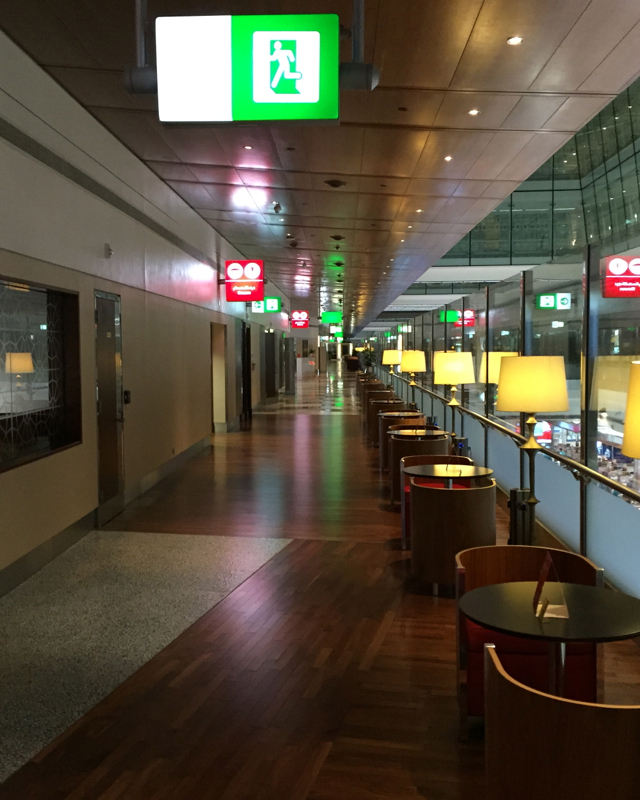 You can go to either one, but will likely spend more time at the lounge closer to your departure gate. 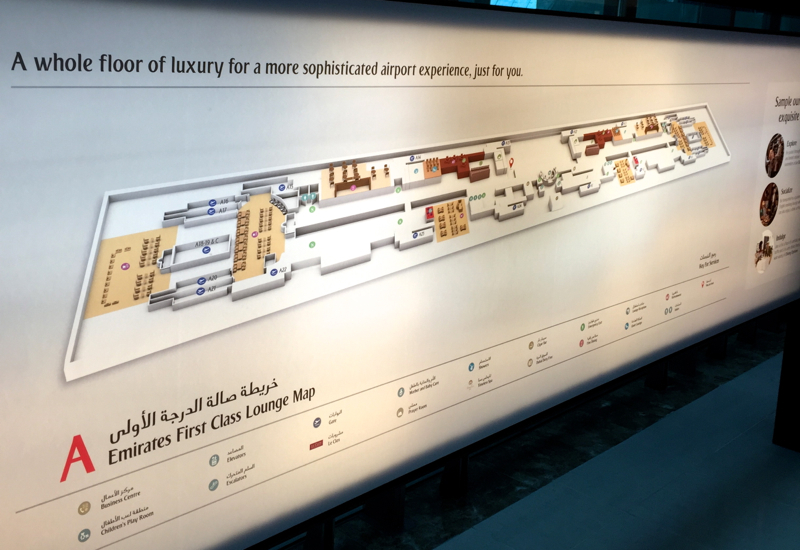 Here's the map of the Emirates First Class Lounge in Concourse A, which is where I spent most of my time, since I had a Concourse A departure gate. 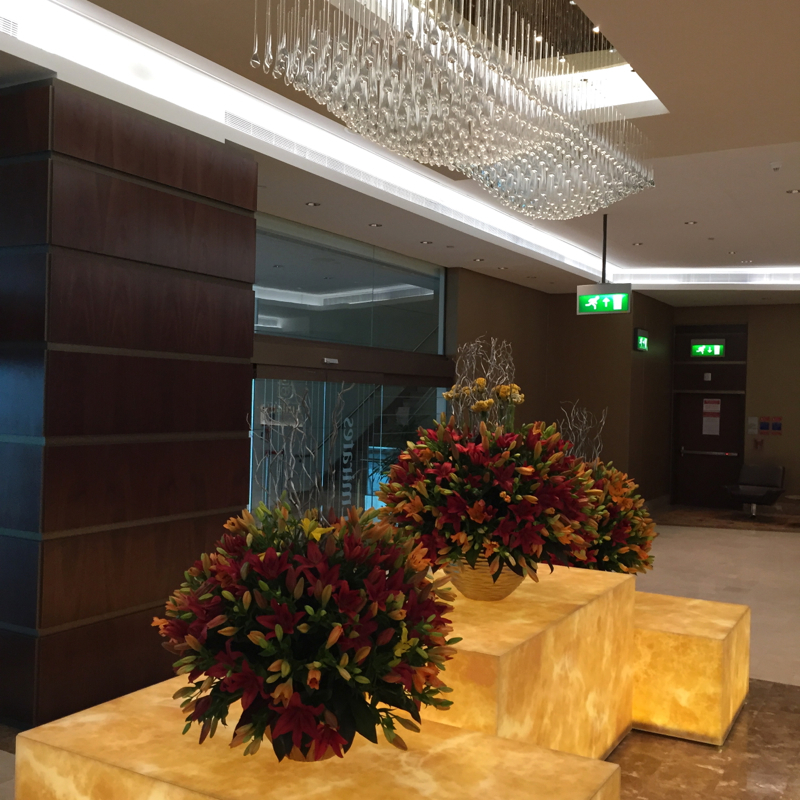 The Dubai airport complex is amazingly vast: my plane had to taxi for about 20 minutes after landing to reach its parking area, and then we had another 20-minute bus ride to the entrance. And because my flight arrived about 3am local time, I just wanted to relax. 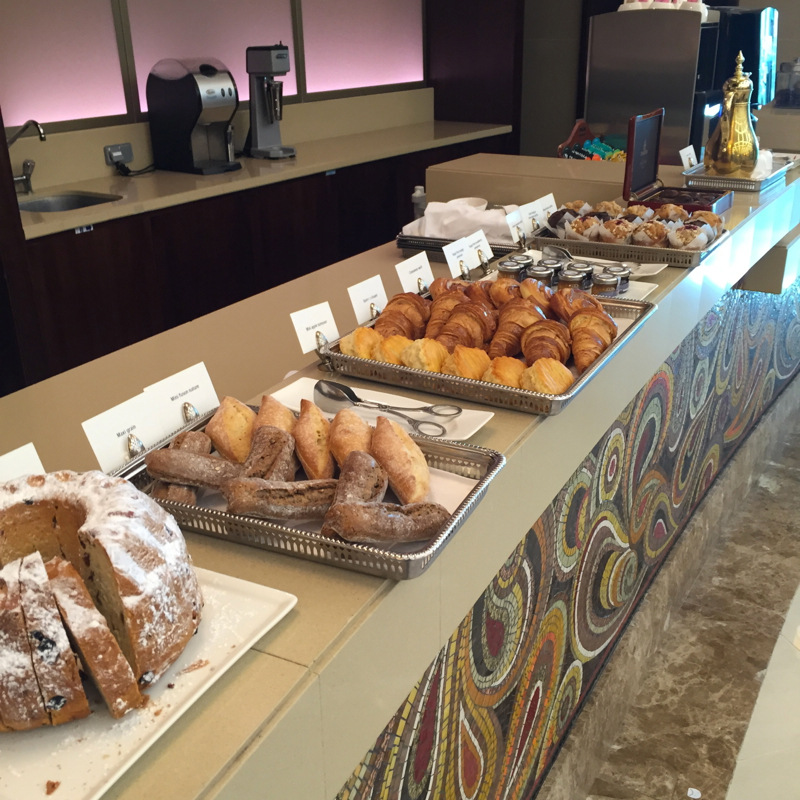 But when I entered the First Class area, the extraordinary luxury of the environs was a stimulant. I don't smoke cigars, but there was a separate cigar lounge with appropriately over-stuffed leather chairs. There were even some lovely chairs beside an elaborate fountain. I'm not sure who would want to do work with everything else on offer, but there was also a business center with computer work stations, in addition to of course free Wi-Fi. 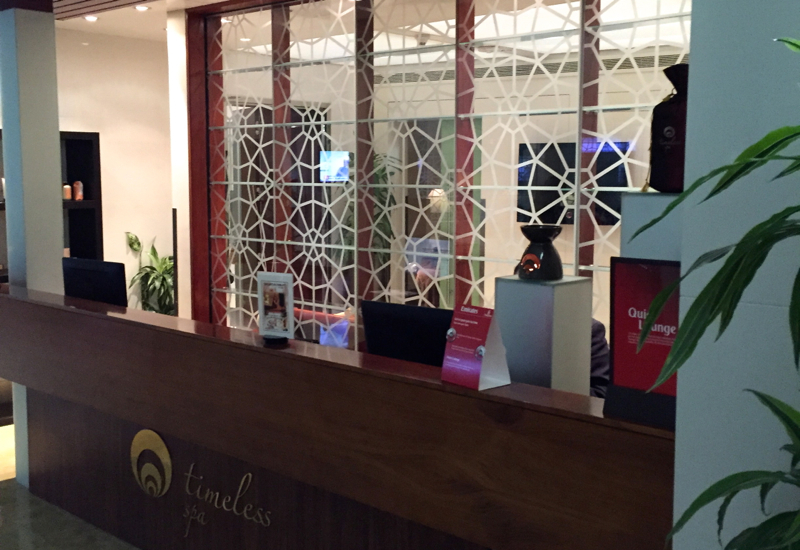 I was too tired to ask for it, but lounge access entitled me to a free 15-minute spa experience at The Timeless Spa. I next wandered over to the sleeping area, and took a nice nap on this divan, which was quite comfortable. 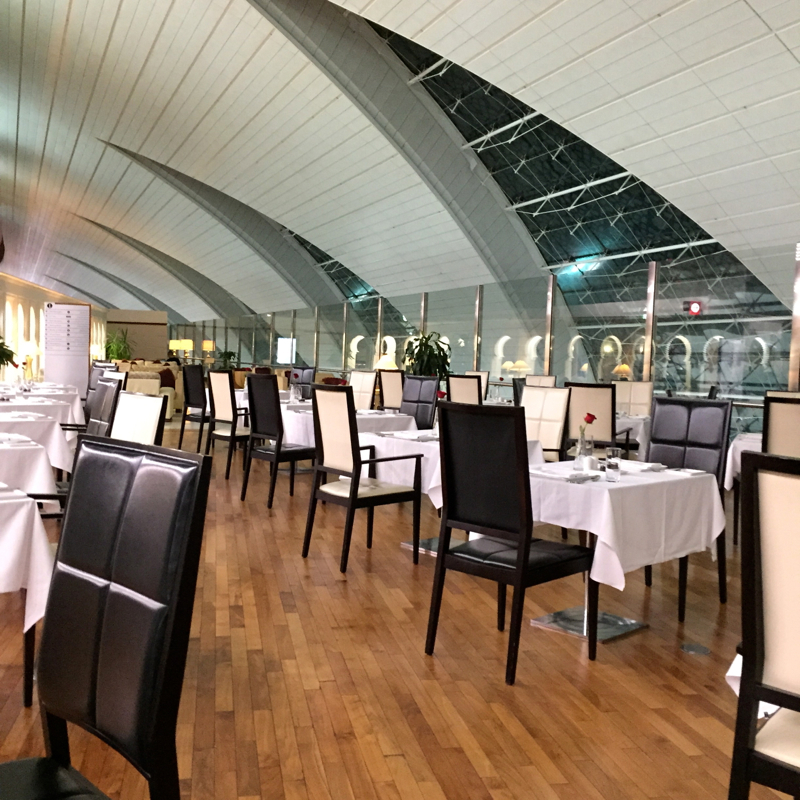 Emirates First Class Lounge dining areas were no less extensive and elegant. Tables with white tablecloths and flowers? Check. Soaring ceilings? Check. 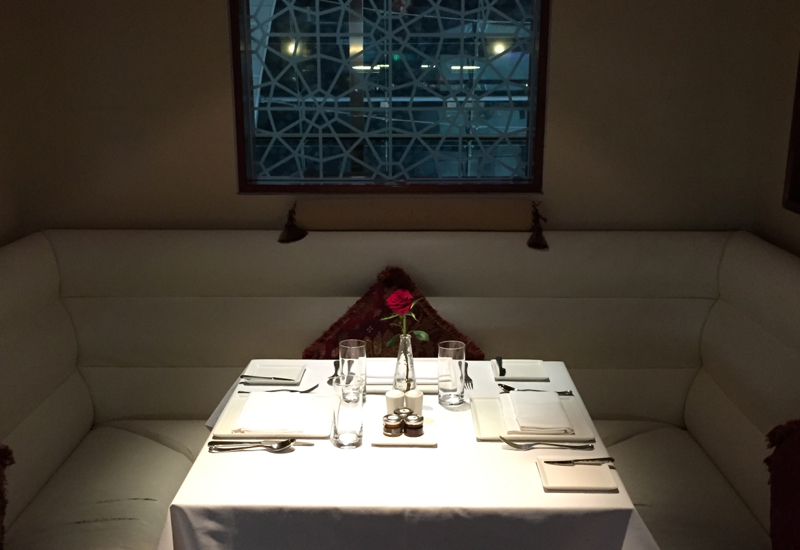 Banquette seating for greater privacy? Check. Tasteful buffet selections? Check. 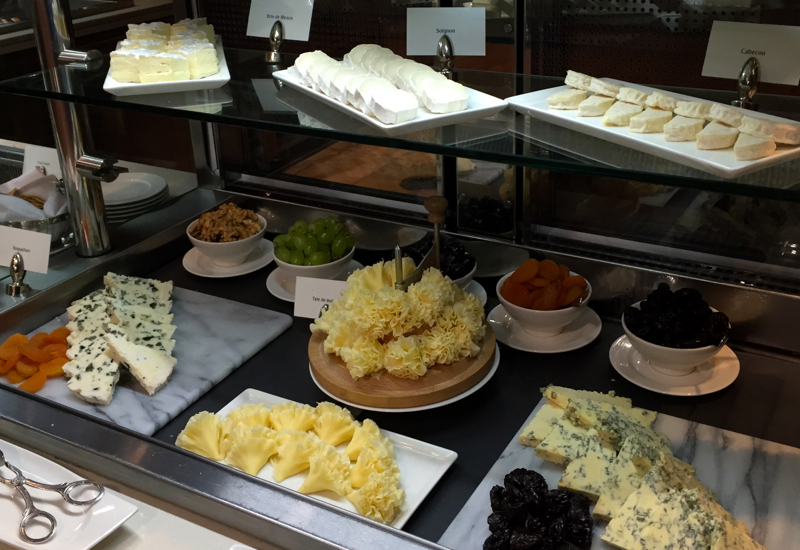 My wife would have loved to see that the cheese selection even included pretty rosettes of Tete de Moine cheese from Switzerland. 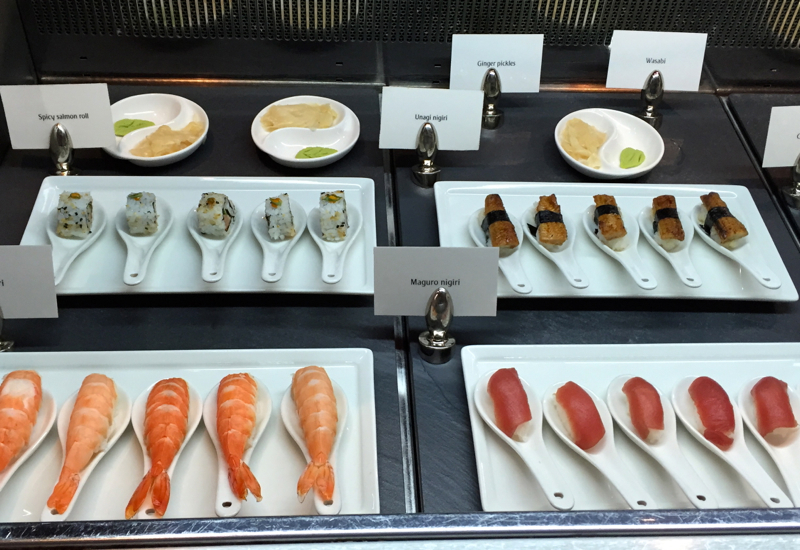 Sushi for breakfast? No problem. 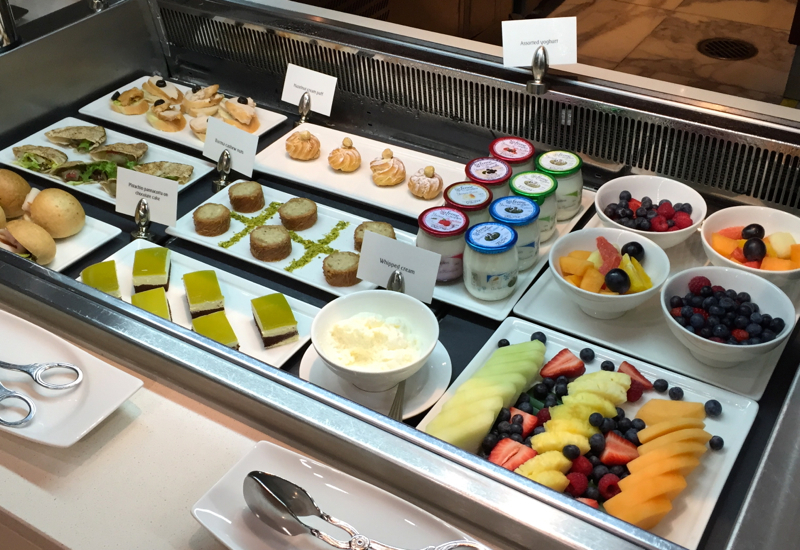 I settled down in one of the many, many dining areas for yogurt and granola, which was delicious. 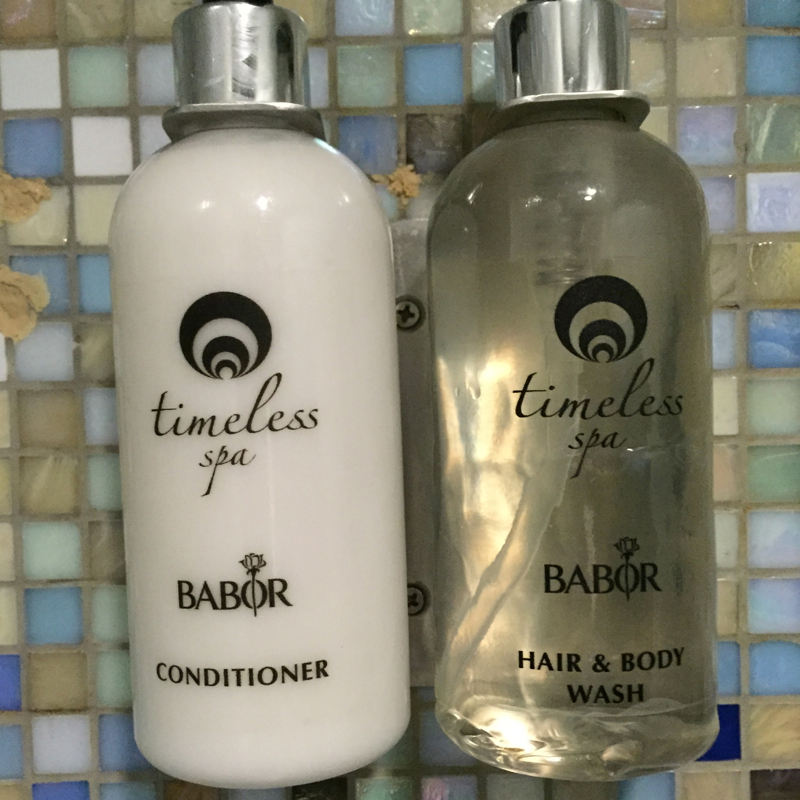 Perhaps it was because my stay there was between 3-6am and I was just one of a few occupants, but in general as I wandered around I didn't even have to cast my glance in the direction of some food or other amenity before one of the many gracious staff offered to assist me. 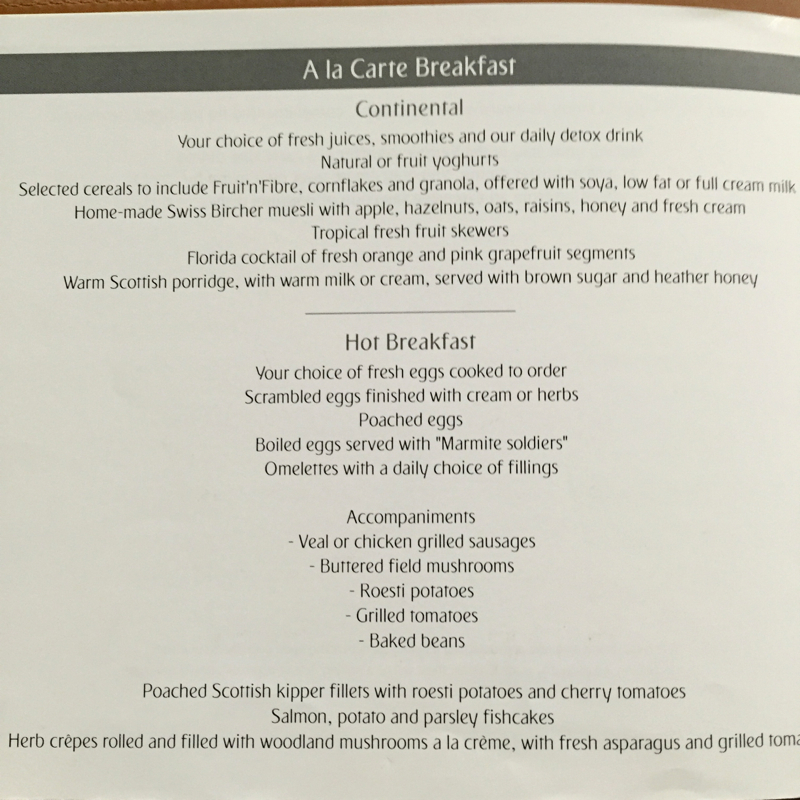 Frankly, the opulence was all a bit surreal, especially during the wee hours of the morning. 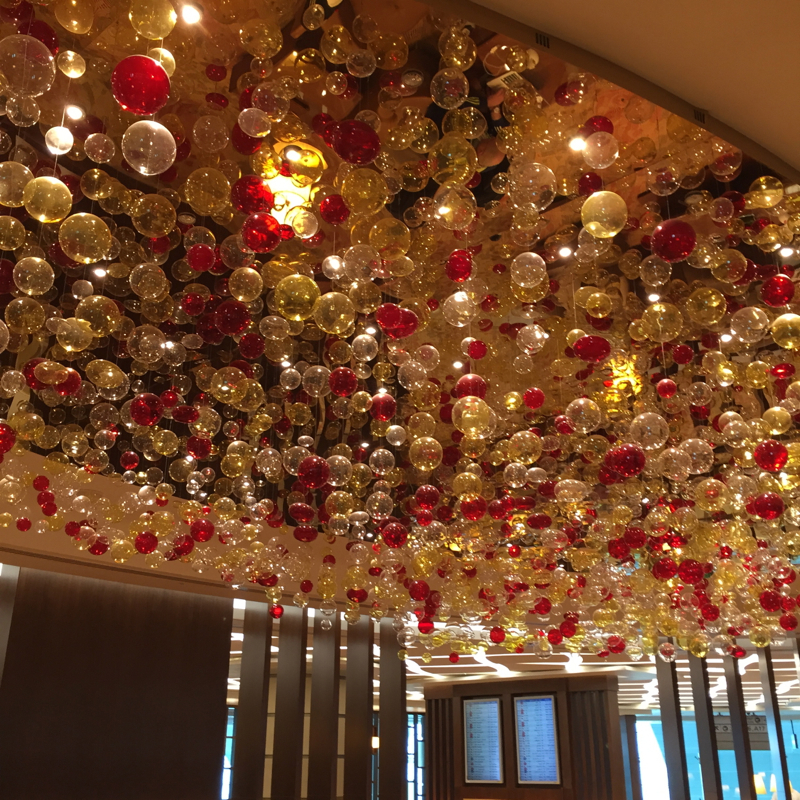 These colored glass baubles hanging from the ceiling were especially entrancing. 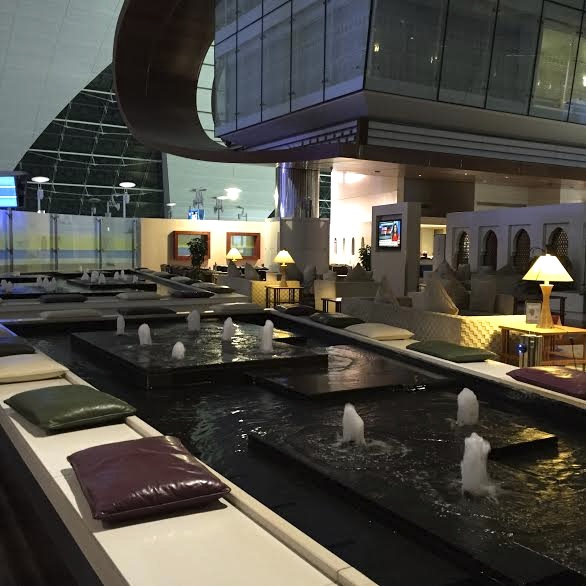 It may seem odd to say, but I strongly recommend finding a reason to spend a few hours in the First Class airport (which are effectively mini airports) in Dubai. 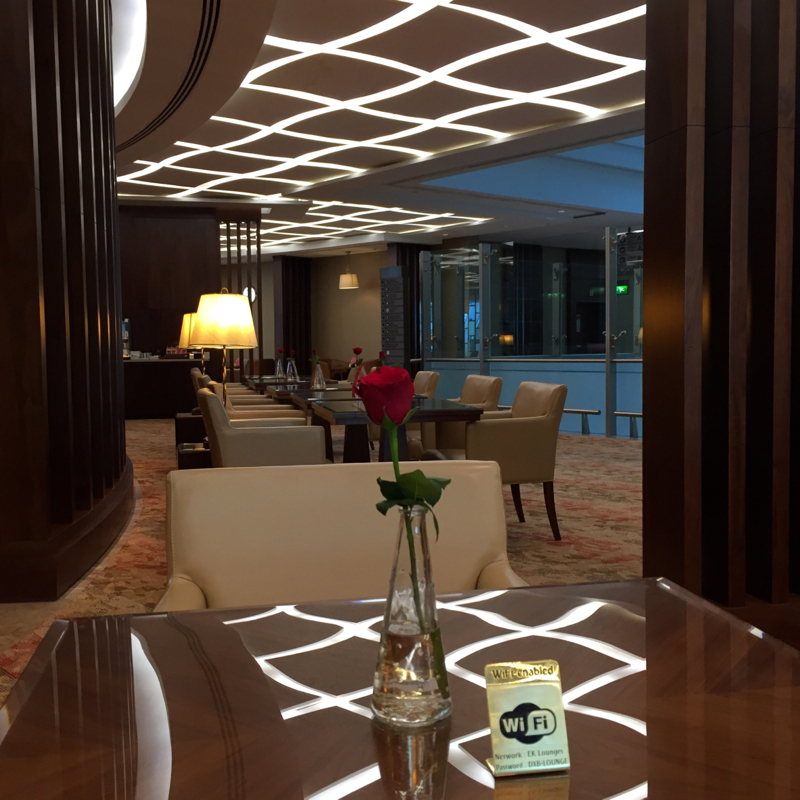 The food, service, and glamorous surroundings make other first class lounges seem like quaint holding pens. 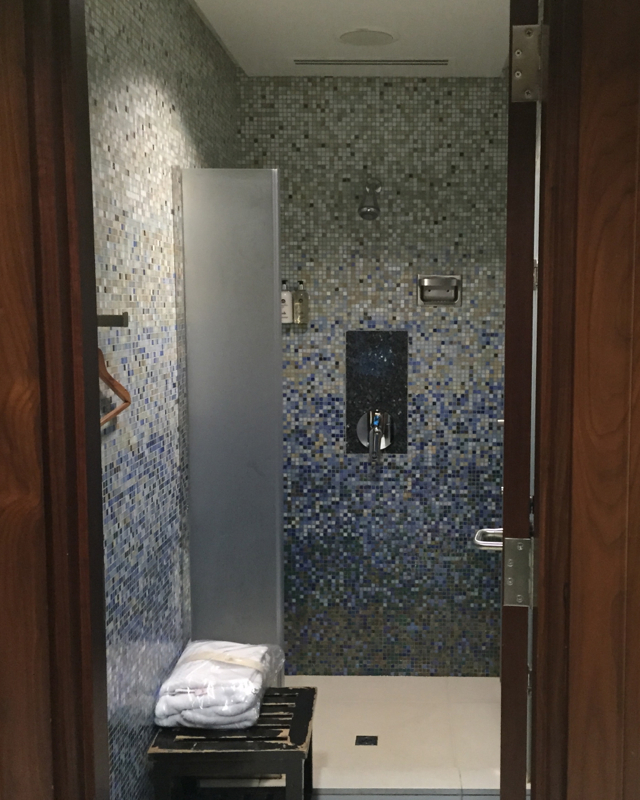 You may come away, as I did, with a new appreciation of how luxurious travel can be.